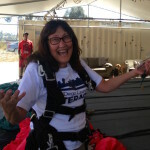 In 2013, San Diego Council on Literacy board member Carrie Scott took a “Leap for Literacy” to raise awareness and funds for the local non-profit. 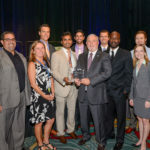 Members of the CP Kelco San Diego Plant leadership, operations, engineering, and communications teams accept the IEA Environmental Excellence Award in 2016. 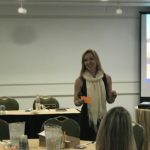 Margie Newman leads an interactive strategic messaging workshop at the 2017 Alliance for Early Success National Partner Summit in Tampa, Fla.